Another year older now and perhaps just a little wiser, but I’ll leave that for others to decide. I’m just freshly returned from Music Tech Fest Berlin where I presented my work and premiered sketches towards my permanent installation opening in Rijeka airport next month. It was a joy to meet so many familiar faces again and hang out and catch up in such a vibrant city and in a truly extraordinary location, the Funkhaus. Indeed the building itself, overlooking the River Spree, is simply astonishing. Built in the 1950s as the broadcast HQ for the GDR’s state radio, it’s now home to some of the most amazing recording studios in the world, so It was strange to imagine all the sounds and happenings that would have occurred there over the last years. It’s been a month of premieres and it’s not as if next month will be any different. It’s not quite red carpets, paparazzi photographers at my doorstep and hanging out with celebrities, but nevertheless there’s always a positive spirit about such adventures.Tomorrow with Rambert Ballet premiered at Sadler’s Wells London in a mixed bill of work that left critics bemused as always and audiences rapturous. With a dozen dancers, a dozen live musicians and electronics, Tomorrow played with the source material, Shakespeare’s Macbeth, in a playful and twisted manner, performing the play backwards with a kind of split-screen stage. It’s an ambitious and challenging work and I’m especially proud of the score, which began digitally but was beautifully brought to life by the live players and the arrangement and scoring by the ever-capable British artist Quinta. The full work can be seen over at BBC Arts Online very soon, but for the moment there is a feature interview with me about talking about the music as well as with Lucy Guerin the choreographer and director of the work. Whilst rehearsing with Rambert I felt a little like I was double-dating, in that whilst the dancers rehearsed in the main theatre I had began work on my next production there with choreographer Russell Maliphant in the smaller theatre space next door. This new production stars award winning Russian classical ballerina Natalia Osipova and her partner Sergei Polunin and opens at the end of June on the main stage, and then travels to Edinburgh and New York. My score radically reworks a couple of old tunes of mine mixed in with new material and is a spell-binding piece to watch! I’m so excited about this production. Then it was over to Paris for the premiere of Thomas Lebrun’s new production, Avant Toutes Disparitions, which I scored alongside my American composer pal David Lang. This new expansive work features a multitude of dancers on a special stage with an explosive original score, quite literally, since it features recordings of guns, warfare and the rumble of tanks and military vehicles. The work will tour around France until 2017 so hope that some of you will get to enjoy this work live. Watch this intense little clip here of the show here, and more here. With the press embargo now lifted I can speak about Ghosts, my new installation, which just opened at Cliveden, an outstanding National Trust building celebrating its 350 years anniversary. In 2012 Cliveden began a five-year, £6 million restoration project on the Grade 1 listed South Terrace to ensure its future, and as part of this project, they removed damaged and peeling rendering from the walls of the historic chamber. The discovery of hidden funnels in the ceiling and intricate brickwork that had evidently been adapted over time, furthered the mysteries surrounding the chamber’s past. However, the impressive acoustics of the domed space support the theory that the room was used for musical performances. My work is now installed within this sounding chamber, a space which continues to battle consultants and historians regarding the real nature of what the space was built for. 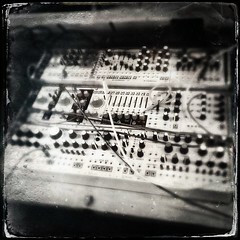 Ghosts creates an immersive atmosphere where I’ve tried to recreate 350 years of history in sound. It’s an ode to history, and to an astonishing building, and attempts to capture the grandeur, scale and character of the architecture in a captivating and moving manner using sound and suggestion. It will be open each and every day until December 2016. You can read more about it here and watch a 3D video with sound to give you an idea of the space. And whilst speaking of installations, rather like buses or trains, three come along at the same time when you’ve been waiting for a while! So in June I open Middlesex Voices at Fitzrovia Chapel in London, on the site of the former Middlesex Hospital. For the inaugural FitzFest I’ve been invited to present this new work inside the chapel itself. With live performances and events grounded in the historical and local character of the area, Middlesex Voices features interviews with former staff members of the hospital immersed inside a melancholic piece of music that will play for 24 hours, each day from 8-11 June and then be repeated each year the festival continues. Throughout the course of the installation, one of the 15 professional festival musicians will perform live with improvisations responding to the soundscape and working in shifts throughout the four-day festival, echoing the shift patterns of the hospital’s workers. You can read more about it here. And with barely time to clone myself Whispers and Dreams opens in Italy in June too. Following my debut show with French rock band HifiKlub in France in April our collaborative album Mayol is now out. You can actually listen to the entire release in full online at The Wire magazine, and then watch footage of us live in Hôtel des Arts in Toulon, captured by the respected French photographer Jacqueline Salmon. British group Wrangler, featured Stephen Mallinder of Cabaret Voltaire fame, are releasing a special remix album this month. Entitled Sparked, it features 11 modular synthesizer reworkings of tracks from their debut album. Available on limited edition vinyl and CD, I’m truly honoured to appear alongside Mute founder & The Normal’s Daniel Miller, Chris Carter from Chris & Cosey and Throbbing Gristle, Alessandro Cortini (Nine Inch Nails) and many more. Order it here. With your last few pennies left, the Scanner Store has now been fully stocked with masses of rare and unique items, many of which are long out of print but I discovered copies in packing up to move home last year. Last remaining copies of such items as Double Fold and Graphic Scores CDs, and very rare vinyl items such as Rabbit at the Airport vinyl, Spray, Move to Choose, Tokyonin, so don’t think too much and pick them up whilst you can, as none of these will be repressed or available again. So until July, have a wonderful month ahead! A soundscape at the Fitzrovia Chapel following its £2million restoration. 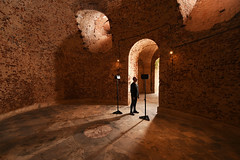 As the only surviving part of the Old Middlesex Hospital following the demolition and redevelopment of the site in 2006, the work – especially commissioned by the festival and created specifically for the Chapel – uses memories from people that worked, trained and were treated at the Old Middlesex Hospital that have been recorded and weaved into a musical sound installation. Throughout the course of the installation, one of the 15 professional festival musicians will perform live with improvisations responding to Scanner’s soundscape and working in shifts throughout the four-day festival, echoing the shift patterns of the hospital’s workers. For 400 years the words, themes and ideas of Shakespeare have permeated our language and history. Ambition, deceit, loyalty, corruption, fate, power, love and disguise defined our lives then as they do still today.